Social media makes it easier for the marketers to receive a chance to enhance their brand awareness. By marketing online, they craft an easier way to introduce their brand to the people. Having a social media page for your brand will certainly help you to earn maximum profit. Use it to market your product and see the difference. Social media is one of the most cost-effective ways to market your business. If, in case, you decide to use paid advertising on social media, always begin small to watch what you should expect. This will help you to attain a greater return on investment and hold a big budget for other business & marketing payments. By just investing a little time and money, you can elevate your conversion rates & get a return on investment on the money you invested at first. Through this medium, you can engage with the customers in a better way. The more you communicate with the audience, the more opportunities you have for conversion. Set up a two-way communication with the audience so their requirements are known and their interest is provided easily. Communication with the customers is one of the ways to win their attention and convey them the brand message. Thus, the brand will reach more audience in real terms and gets itself established without any annoyance. Social Media plays an important role in maintaining customer satisfaction. Communication and networking are essential for attaining the best results and for this maintaining the balance is important. A brand that values its clienteles, takes the time to compose a personal message, which is perceived naturally in a positive light. Use the medium to frame a stronger relationship. With a positive interaction with the customers, you can frame a strong marketplace awareness amongst them. Finding what are their needs and requirements is the most important part of a business. So, by going through the activities of the customers on your profile, you can see customer’s interests and opinions better. With Social Media Marketing, you can have a better understanding of the customers and their specific needs. Once you attain a big following, use some tools to examine other demographics of your customers. With the assistance of the social media platforms, you will likely to attain the best traffic. Social media is a big platform where the customers get in touch with your website and if they like it, they keep on visiting the same. High-quality content is always welcome and if you work on improving your content, you will surely receive the best. All in all, the more quality content you share, the more traffic you will produce while making conversion chances. There is no denying that “Social Media marketing” has many advantages for established brands. 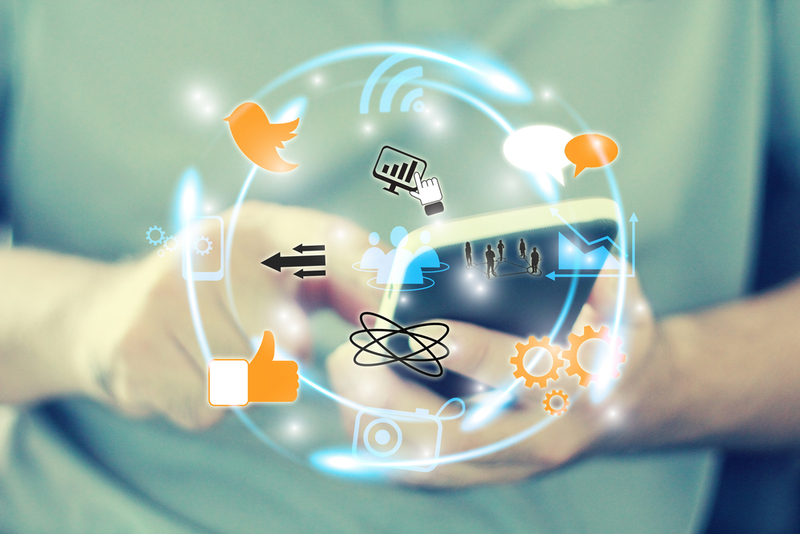 By regularly updating the social media strategy, you can fetch customer satisfaction more. Competition is on the rise, so do not let your competitors take your customers away. The earlier you begin to follow a correct strategy, the more you will grow. So, whenever you are planning to begin working for the steady growth of your business, do not forget marketing through the best social media tools and tactics. Be aware and make a mark amongst the customers present! I am a Social media expert and have an interest in writing blogs on the current and advanced topics. With this, I want to enhance my knowledge of the social media trends to educate the customers. I wish to work for Megicbyte Solutions, an eminent seo services company in Noida, Gurgaon, Delhi India that delivers the optimum SEO services with the help of their professionals. Previous Previous post: Reasons: Why SMS Marketing Is Better Than Any Other Marketing Platform?